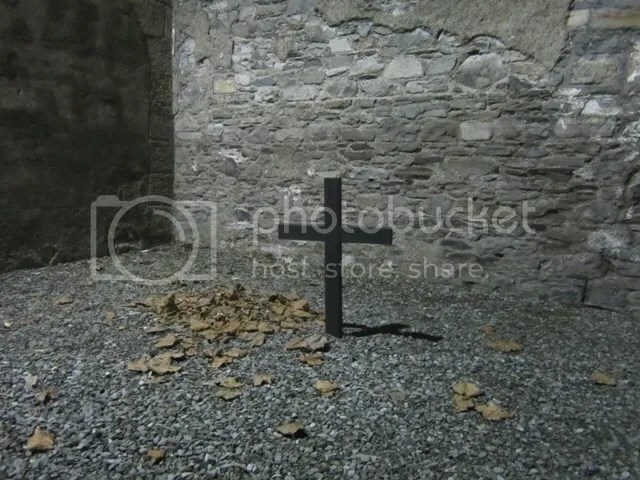 In the photograph you see a simple wooden cross, set in a corner of the execution yard of Kilmainham Gaol, Dublin, Ireland. It commemorates the fateful night of 12 May 1916 when a badly wounded rebel, James Connolly (his leg had been shattered by a bullet in the Easter Rising, and he was unable to stand), was strapped to a chair and executed by a British firing squad as an example to the Irish that insurrection would not be tolerated. Connolly’s death helped to change public opinion about the rebellion. Before his execution, there was little public support for throwing off the chains of British rule. Afterwards, the republican movement gathered momentum, and Ireland became a Free State in 1922, and a Republic in 1937. The soul of a nation is in the heart of a prison.